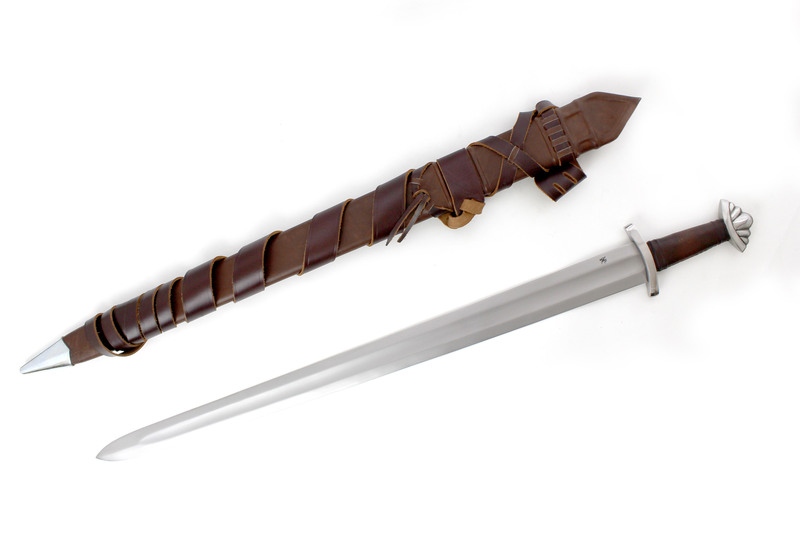 After much online research and contemplation I finally chose the Darksword Armoury Viking 5 Lobe Sword and Scabbard/Belt combination. 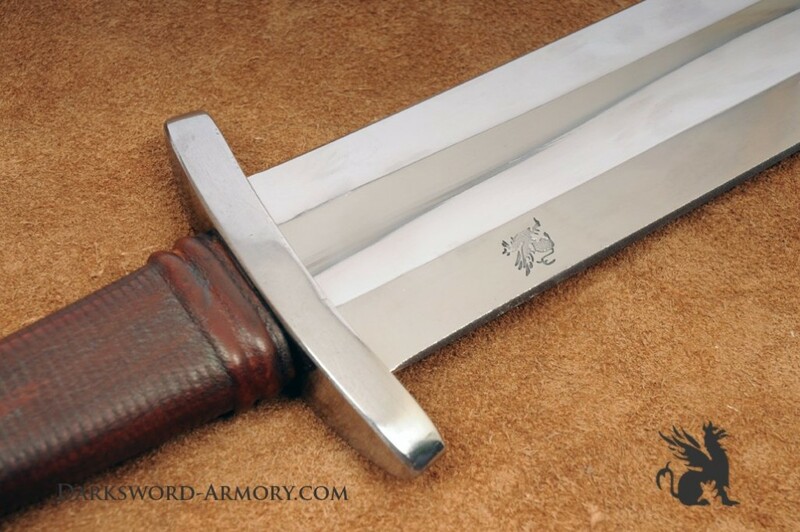 I was not disappointed in any way especially considering that many sites want you to buy just a scabbard for their swords which is more than I paid for the sword, scabbard and belt from Darksword. 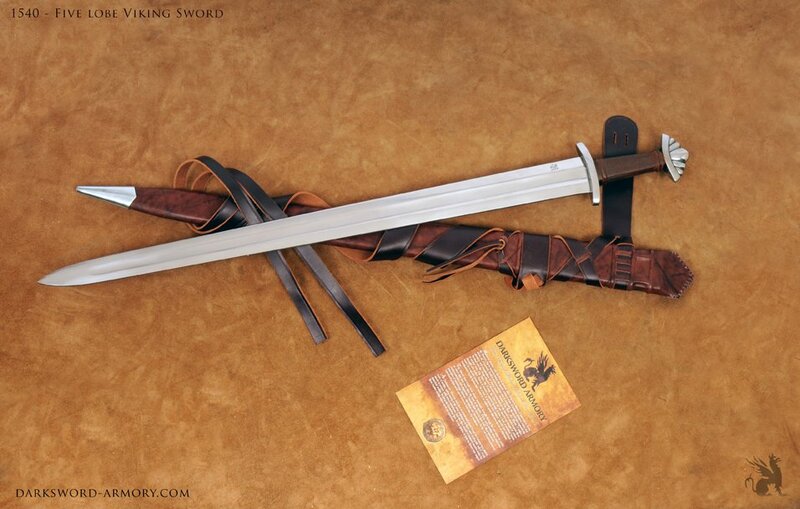 The scabbard is very nice and upon opening the shipping box was greeted by the great odour of fresh leather. 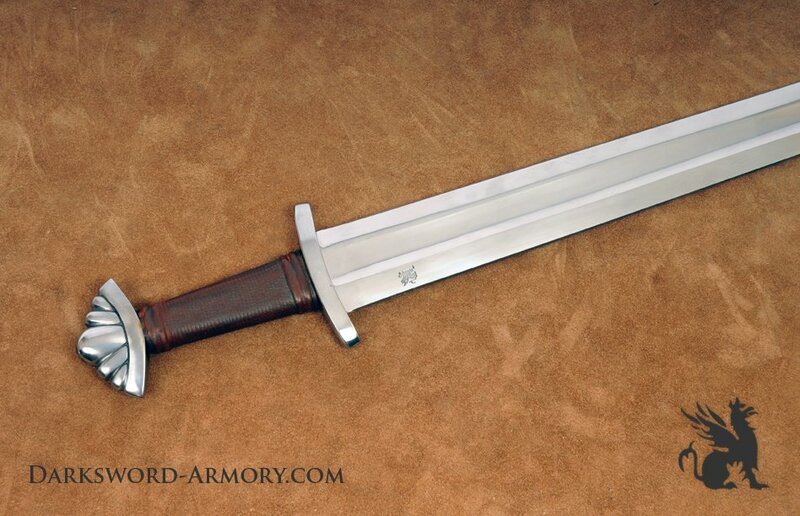 The scabbard colour matches the sword handgrip very nicely. 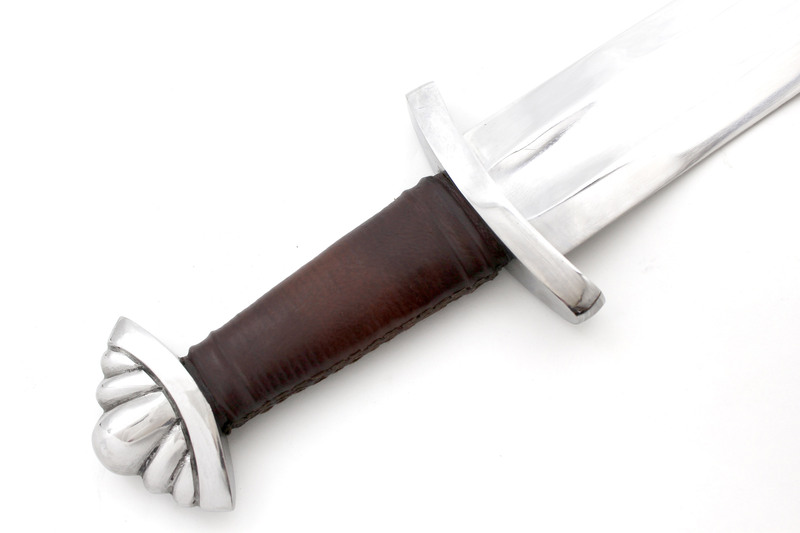 The sword itself is almost flawless and feels very natural in the hand. 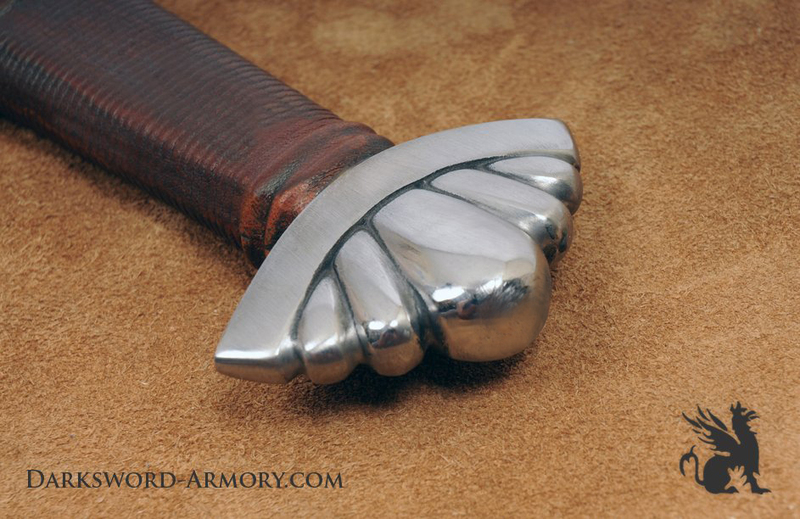 The blade, cross guard and pommel were all nicely polished with no blemishes to be found. The grip is very tight and I cannot feel any movement. I haven’t had a chance to chop away at anything heavier than cardboard but I don’t expect the grip to loosen up any. 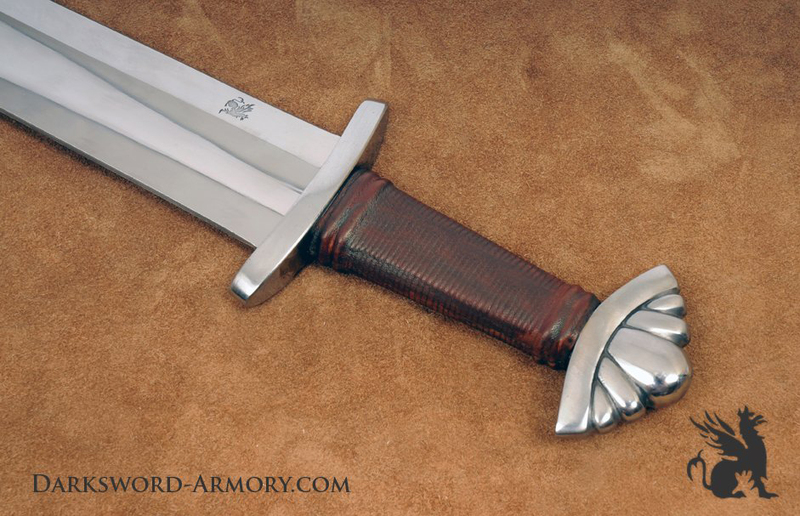 I would give the sword an easy 9 1/2 out of 10 with the only minor criticism of where the blade attaches into the cross guard the inset on the cross guard is a tiny bit rough. 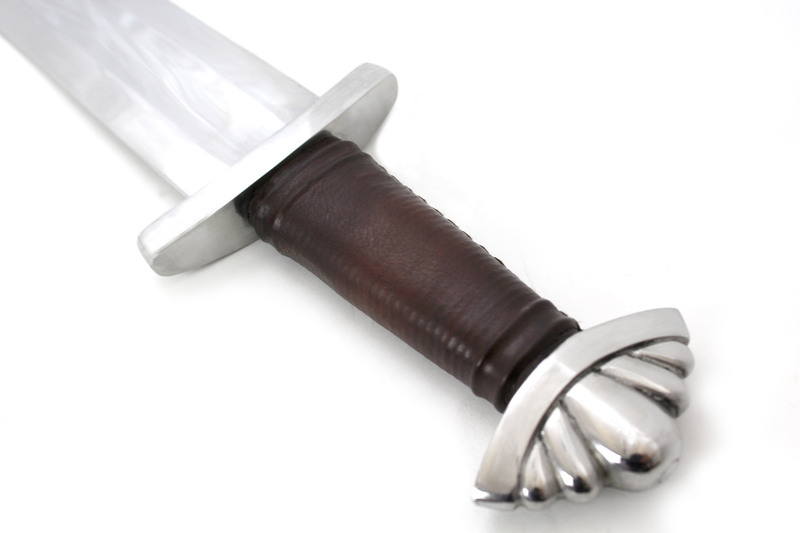 This criticism is very nit-picky and I am going to start saving to buy another sword from Darksword, perhaps a crusader or two-handed sword. 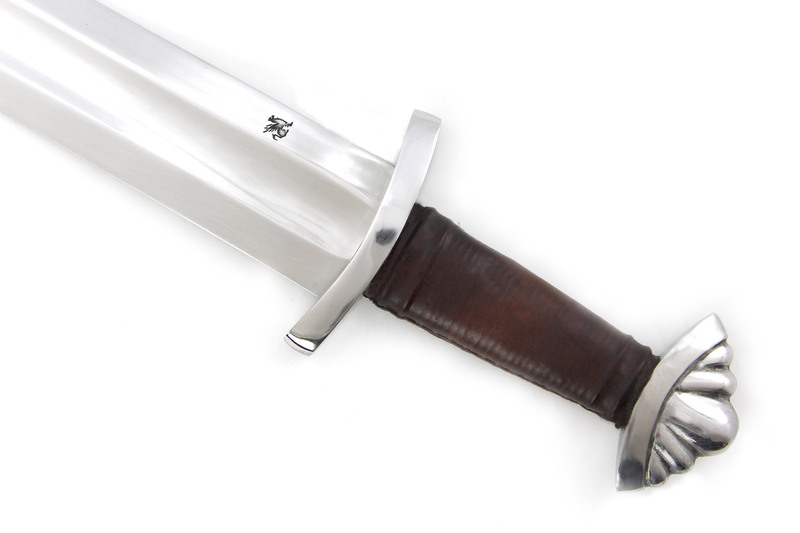 I am related to the first Viking King and I can imagine wielding this fine blade along side him in battle or a raiding party daring the Valkyries to take me.